Once considered a luxury, autopilots are now readily available for after-market installation on the majority of boats. As with most marine electronics, the price has come down and the level of sophistication has gone way up. The two biggest improvements are rate motion sensors and the ease of calibration. Older autopilots used a fluxgate compass heading however the new units have a rate motion sensor which understands pitch, yawl and the rate of turn, making travel in confused seas less difficult on the auto-pilot. The new autopilots are also much easier to calibrate and even have the ability to learn and tune themselves for your particular boat and auto-learn numerous sea states. Some models, like the Garmin with Shadow Drive, allow you to simply grab the wheel to disengage the autopilot and it knows when you let go and it re-engages. Another advantage is the interoperability between navigation systems and the advances in reducing the power consumption of these units. Autopilots are now available in a number of different sizes based on your type of boat, displacement, and steering system. The Advantages of an Autopilot on your Boat. What are the main advantages of installing an autopilot? Number one is when you steer true to a set course, you save time and fuel. You also have the ability to leave the helm to trim sails, adjust lines, take a break from holding the helm steady, watch for logs or make a radio call, especially if you are single-handing. If there is an emergency on board, an autopilot serves as an extra crew member. For off-shore sailors, helm fatigue can lead to poor judgement and slow reactions. If you travel at night or in severe low-light conditions, it can be very difficult to steer to a point on land or magnetic compass at helm, an autopilot can keep your boat on an exact course without straying. There are three different types of autopilots. Windvane or self-steering, is an older type of autopilot that transfers wind energy from a vertical air paddle to a trim tab or a water paddle attached to the rudder. The newer, more common autopilots are Above Deck and Below Deck. Above Deck are more common on smaller boats, generally under 35 feet. These autopilots are inexpensive, easy to operate and energy efficient. They connect either to the tiller or directly to the steering wheel and are powered by a small motor. Below Deck are best suited for over 35 feet and larger displacement boats. The main components of an autopilot system are the course computer or central processing unit with a smart heading compass, a drive unit which can be a hydraulic pump, linear drive or rotary and a control head used to interface with the autopilot system. Depending on the type of autopilot you install, there are a number of different operating modes. The default is compass mode, it will steer the compass course shown on the control head and will stay on the same course, over time. Navigation mode allows you to chart a course and move to a waypoint or route mode, which is a collection of waypoints. When following a route, as you reach each waypoint, you will be notified and prompted to proceed to the next waypoint. The wind or windvane mode allows your chartplotter to see the wind and steer to it in the same way you would manually. This is typically used for open water or long ocean trips. The Settings. Within each mode, there are a number of settings which determine how much leeway you would like to give your autopilot. Response or sensitivity settings are typically the easiest to adjust and often refer to the frequency of corrections that the autopilot makes to stay on course. Rudder gain or counter rudder determines the size of the corrective movements. The balance between these two will ensure a smooth course. Using auto tune to adjust rudder gain, rudder damper or response allows you to determine how hard your autopilot has to work. 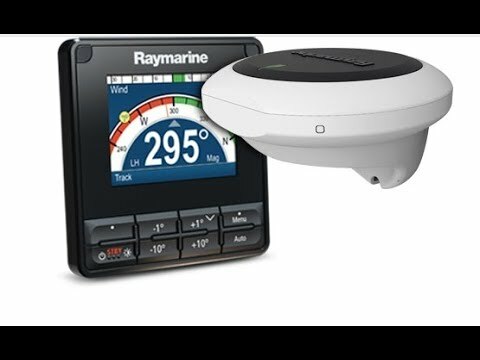 For example, on my own sailboat, the response time of the Raymarine autopilot (from setting of 1 the slowest response to setting of 10 the highest response) is set between 3 and 4, which is not too demanding and, therefore, draws less power. Auto tack allows you to adjust your tacking angle and rate of tack to suit your boat and the weather conditions. Depending on the control head, you can swing from your current heading to 110 degrees to port or starboard, this is a great setting for single-handing and I use this on my sailboat all the time. 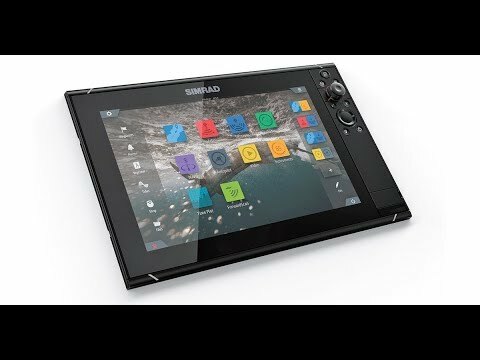 Installation Tips and Tricks. Here are a few installation tips to consider. The autopilot must have a disengage button that is easily accessible, it must also have a circuit breaker that shuts off the power to the unit. A Below Deck autopilot should be mounted in a dry well-ventilated area and the drive unit must have sufficient power to avoid excessive voltage drop. For your safety, make sure to perform the dockwise orientation at the dock. Also, ensure the autopilot you choose has some sort of alarm. It is quite easy to get distracted the minute your hands leave the wheel. Many use off-course or windshift parameters to sound an alarm. There are benefits to staying with the same manufacturer for your chartplotter and autopilot. For instance, your chartplotter can act as second control head, allowing you to operate the autopilot as if it was interfacing the control head. Remote Control. Another recommendation is to have a remote control. Urging boaters to err on the side of safety we don’t recommend boaters use a remote control as the main interface for a second station. Anything wireless can fail because of connectivity issues or even a weak battery, in our opinion it’s not worth the risk of not being able to quickly disengage the autopilot at a moment’s notice. As such, we strongly encourage operators to have a control head at each helm in case you have to quickly disengage the autopilot. The autopilot remote control is better suited as an add-on that is used away from the helm. How much should you expect to pay for an autopilot? 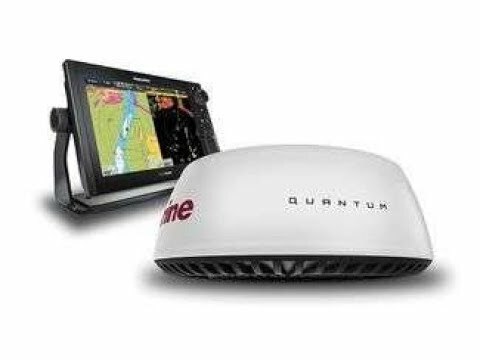 Some of the most popular brands are B&G, Comnav, Furuno, Garmin, Raymarine, and Simrad. The hardware for a small tiller style will cost between $600 and $2,200, a wheel drive ranges from $2.500 to $5,000 and a Below Deck hydraulic system runs between $3,600 and $5,500 including the pump. Most installations are multi-day and are recommended as an advanced/expert do-it-yourself project only. The autopilot integrates with your steering system and the consequences of losing one of the most important systems on your boat are too high. If you chose to install it on your own, make sure you are extremely confident with your skills. Autopilots also include some really cool functions such as rudder angle so you always know which way your rudder is facing. You can also install a repeater screen that relays the course headings in your bunk or galley. If you haven’t considered an autopilot before, it may be time. Gone are the days of locking your wheel or tiller in a straight line.